Whilst music has always been a lifelong passion of NRL legend Eric Grothe Jnr, retiring from the NRL at the end of 2010 allowed full devotion to his band Shinobi which he fronts as vocalist and guitarist. The songs that he had been progressively writing over the course of the last 12 or so years now finally get their moment and ready for the hopeful masses to hear. The result – Against The Brave, 10 tracks of massive, riff oriented rock. The rock that Shinobi delivers flirts that fine line of being accessible enough to gather airplay around the traps, whilst heavy enough to satiate those seeking that little more intensity and brute force. Title track Against The Brave has validated that previous comment, having already been picked up and played in various sporting promo clips, radio and clocked up over 10,000 YouTube views. With some of these songs being written around 12 years ago, it’s no surprise that stylistically, it’s the sounds of bands from the 90’s which dominate the Shinobi sound, rather than just another “new” Aussie band treading the path of “screamo” or AC/DC styled pub rock. 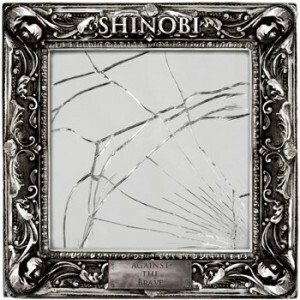 Shinobi for me are at their best when their most melodic and things are scaled back a bit, with the successive trio of Stitches, The Finding and Mondays Sun, being a few of the albums standout tracks which remind me of a band such as The Superjesus, (but obviously with a male vocalist). The first couple of spins through may create a sense of sameness from track to track, but once you really dig your ears into the album and live with it for repeated listens each song will reveal it’s own endearing qualities and well and truly take on their own unique musical identity, the near 7 minute closing track Said and Done being a prime example of that.